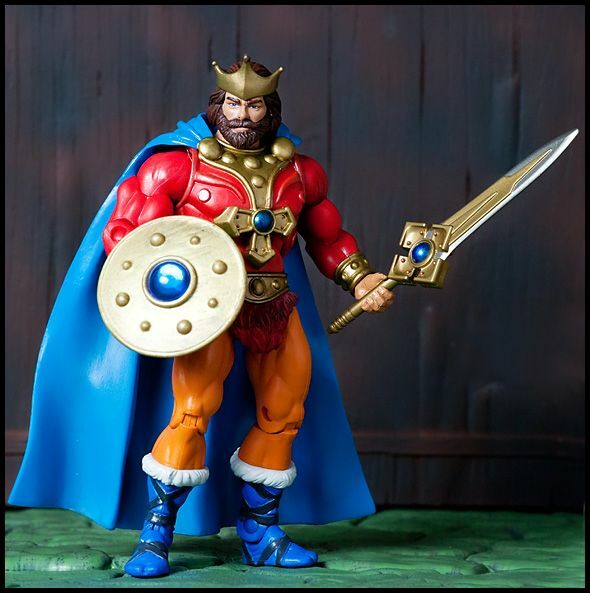 King Miro's second-born son, Randor, came of age during the Great Unrest, a time when conflict returned to Eternia following the Count Marzo Uprisings and the subsequent betrayal of his half-brother, Keldor. 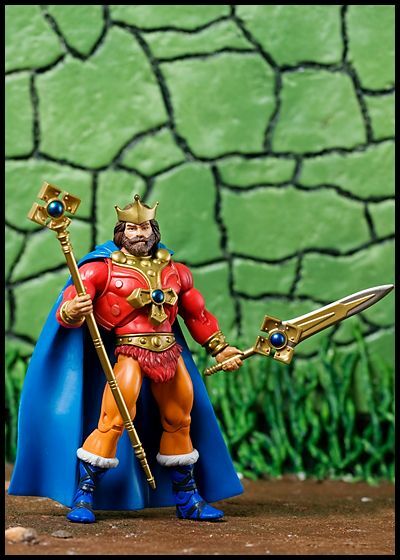 After the disappearance of his father, Randor was appointed Captain of the Guard and lead Miro's troops in battle against Keldor's growing rebellion. 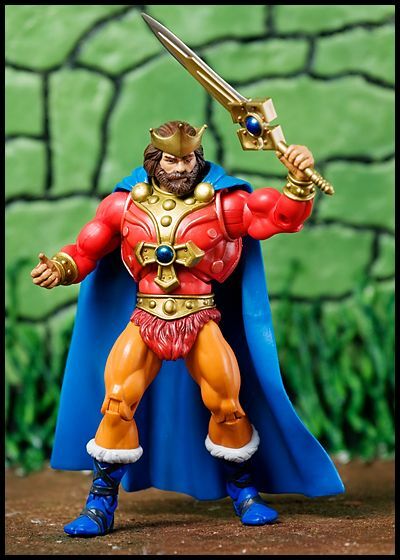 Randor eventually ended the battles by fatally wounding Keldor, and locking him and his evil warriors behind the Mystic Wall. 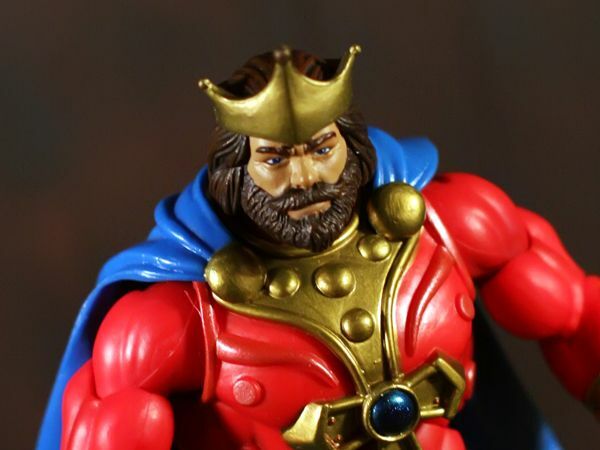 For this act, he was appointed King by the Council of Elders. 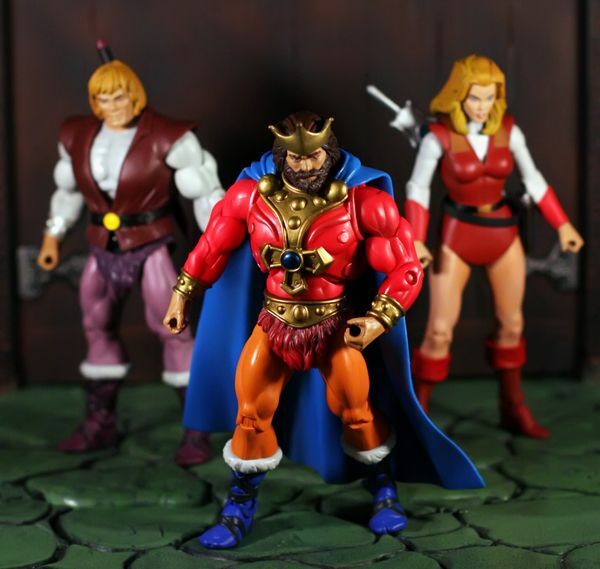 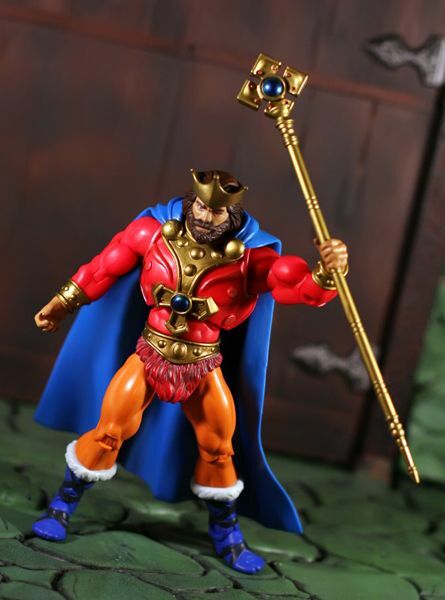 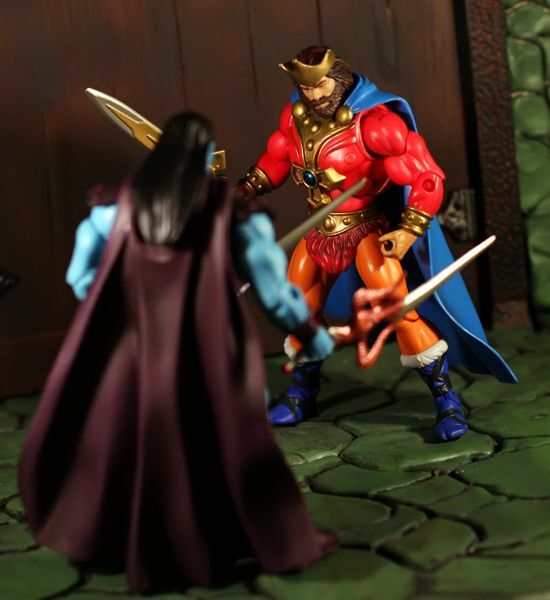 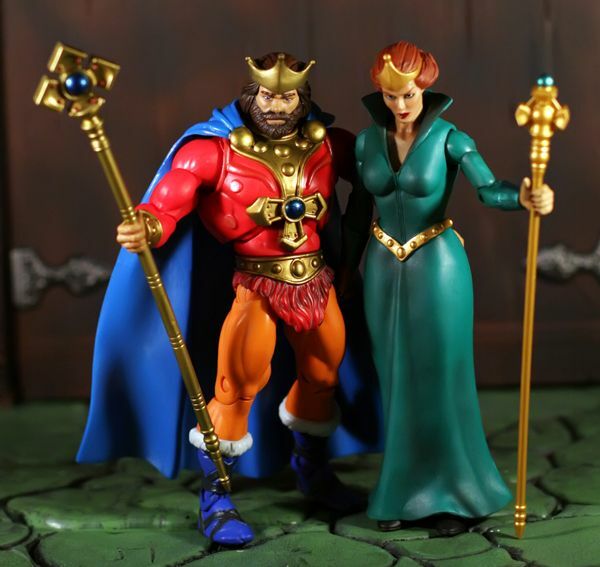 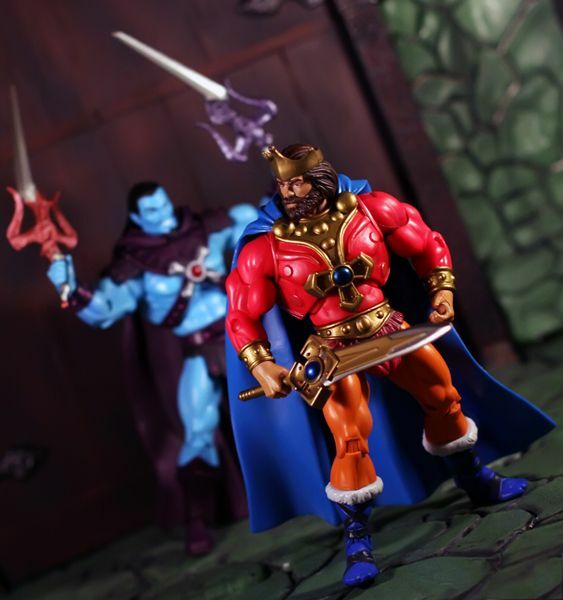 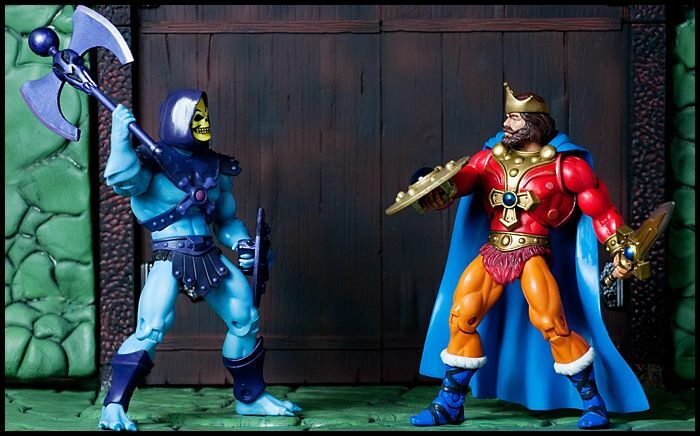 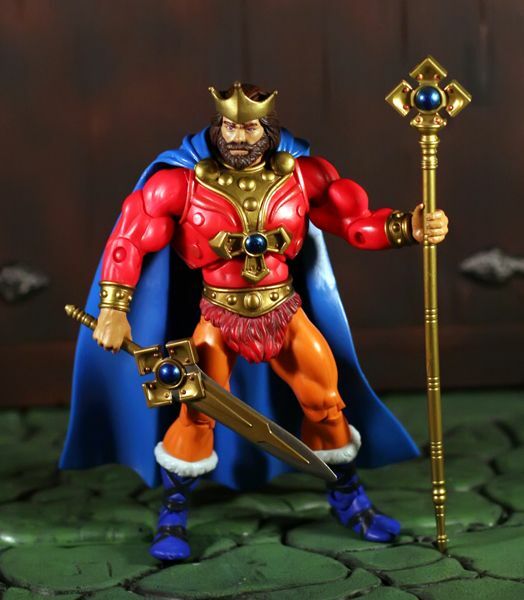 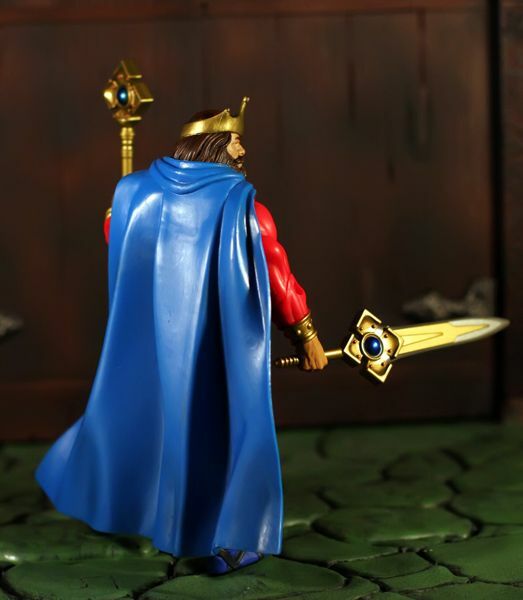 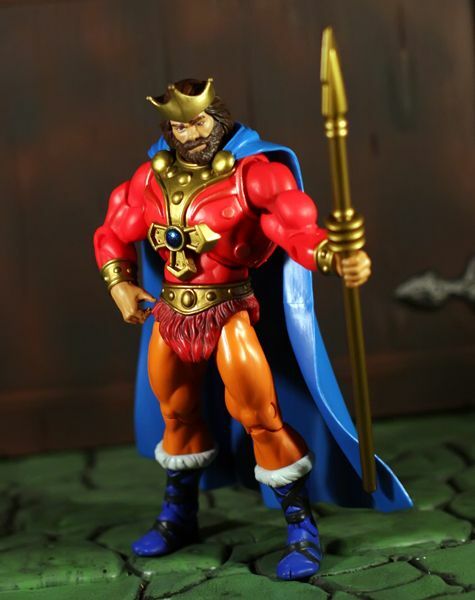 King Randor raises his staff, exulting in his rule over all Eternia! 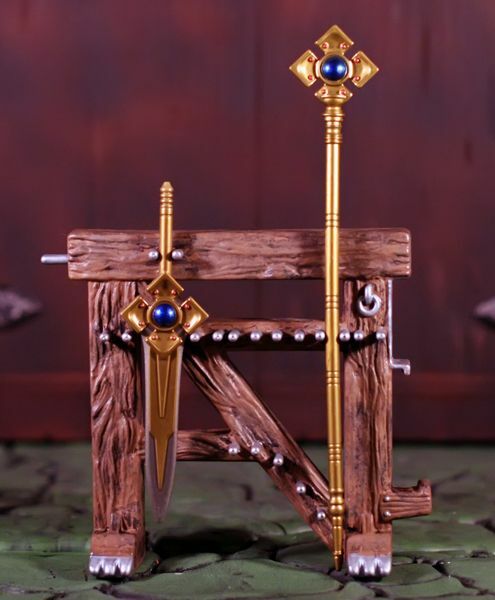 Accessories: Sword of Eternos, Royal Staff.